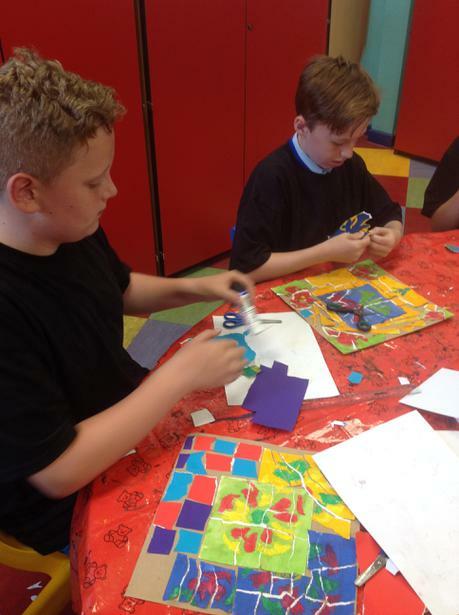 Today, Class 14 have been recreating some of Antoni Gaudi's mosaics, like those you can see in Park Guell. 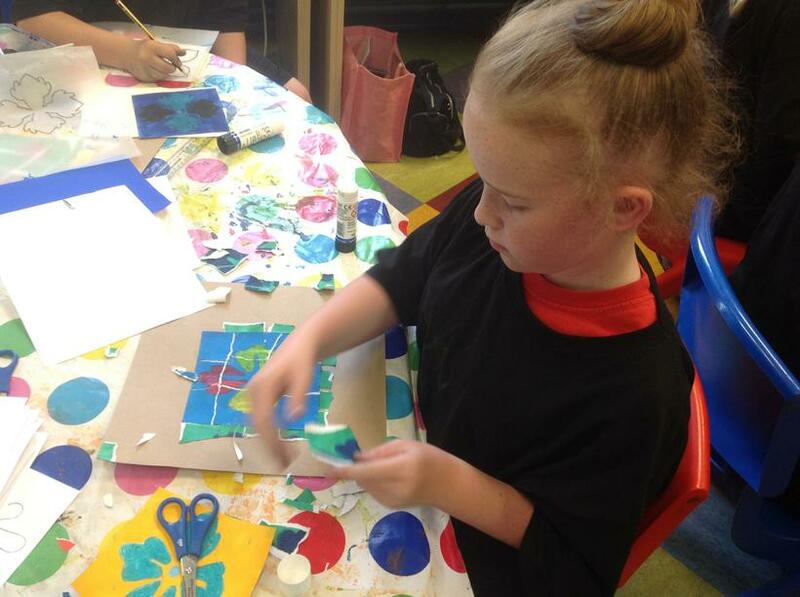 Firstly, we traced a Gaudi design and cut them out to create a snowflake-style template. 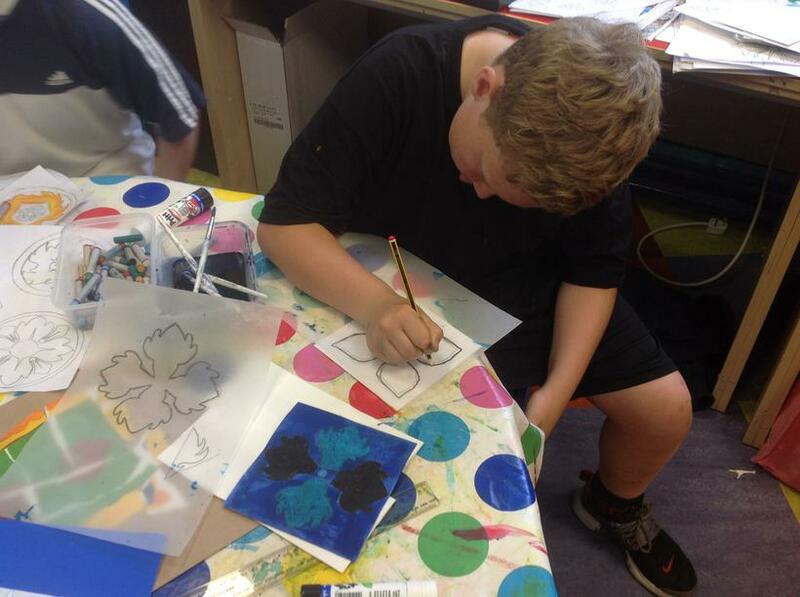 Next, we copied these designs onto tracing paper and then onto card. 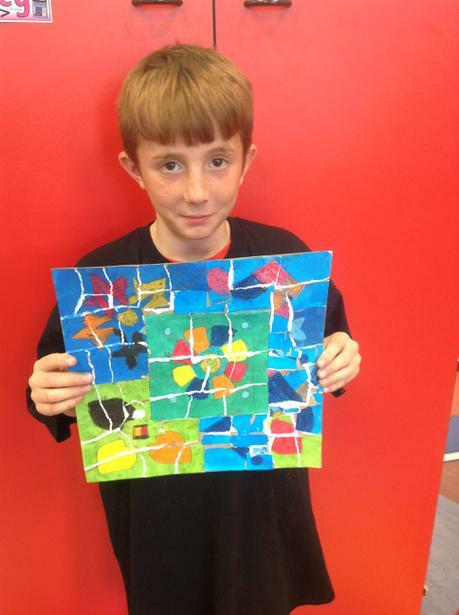 We coloured in our designs using oil pastels and topped them with a wash of water colour. We repeated these steps a further three times so that we had four brightly patterned and different tiles. 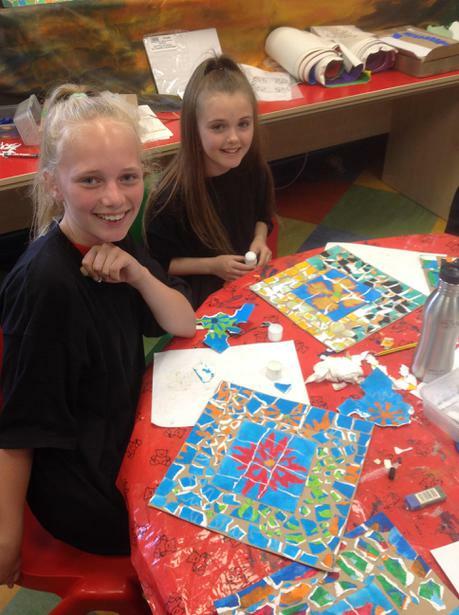 The final step was the most important and the trickiest: we ripped up our tiles and then pieced them back together to create the mosaic style that Gaudi is most famous for. 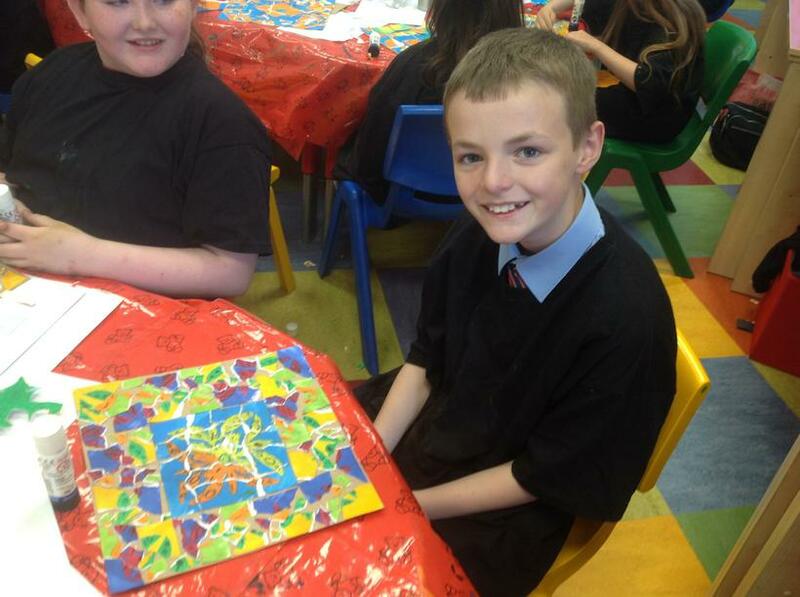 We really enjoyed the day and have perfected a lot of different art skills for this superb piece of work. Have a look for some of them on our Antoni Gaudi display.